-6 is good for alto’s. 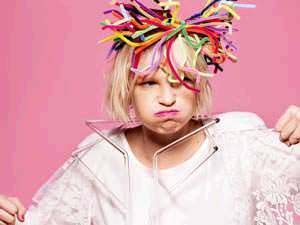 Sia Kate Isobelle Furler (born 18 December 1975) or simply Sia, is an Australian pop, downtempo, and jazz singer and songwriter. In 2000, her single, "Taken for Granted" was a top 10 hit in the United Kingdom. Her 2008 album, Some People Have Real Problems peaked in the top 30 on the Billboard 200. At the ARIA Music Awards of 2009, she won the award for 'Best Music DVD' and received six nominations at the ARIA Music Awards of 2010 and won 'Best Independent Release' and 'Best Pop Release' for We Are Born and 'Best Video' for the song "Clap Your Hands". .